An international summit on doping in sport has heard calls for major reforms at the World Anti-Doping Agency (WADA). Ireland was represented by the Chief Executive of Sport Ireland, John Treacy and by Minister for Transport, Tourism and Sport Shane Ross. The summit concluded that athletes and sports fans have lost confidence in the commitment and resolve of the WADA over its handling of state-sponsored doping in Russia. WADA has been widely criticised for its recent decision to readmit the Russian anti-doping agency. The summit heard calls for major governance reforms at WADA and for an independent inquiry into allegations of bullying and intimidation at the agency. Mr Ross said the Irish Government was disappointed with the decision to readmit Russia and he accused WADA of betraying its own principles. 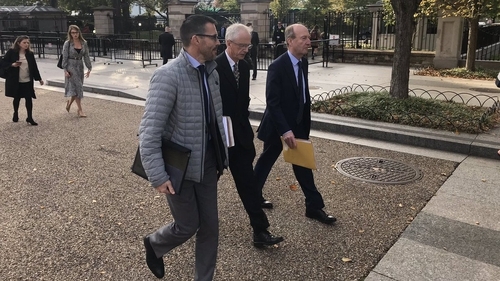 Speaking outside the White House, Mr Ross said he wanted to make clear the Irish Government's disappointment with WADA's decision to re-admit Russia. "Russia has obviously been condemned widely internationally for what they've done in terms of promoting drugs within sport and WADA has been soft in re-admitting Russia and has betrayed its own principles on this," he told RTÉ News. "There are certain nations, ourselves amongst them, who want to express our disapproval of that and who want to tighten up the attitude of WADA to the Russians and make sure they are not re-admitted unless they comply with the restrictions which were imposed," Mr Ross added. He said that athletes, both at home and internationally, "feel that they have been completely let down" and that "they are not properly represented on the WADA board." The minister criticised the board's make-up saying that it was "totally unacceptable". "It contains far too few independent people who can make an independent judgement on the Russian position," he said. Of Ireland's reputation in dealing with doping, Mr Ross told reporters that Irish authorities had acted "unashamedly and with a great deal of bravery," and where people have been found guilty, the requisite action has been taken. "There are lots of high profile cases in Ireland of this and I think we are very proud of that and I would like other nations to follow our example," Mr Ross said. Mr Ross said that the position taken by Ireland in relation to WADA had the support of some "big hitting countries." Meanwhile, Sport Ireland has joined the leaders of 18 national anti-doping organisations to express their support for athletes in their calls for widespread reforms. The leaders said there was a need to act in order to restore the faith of both the public and athletes in the global regulator. Directing their statement at athletes, they said: "While others may not be listening to your concerns and your solutions for how to improve WADA Governance, we wish to make it clear that we, the anti-doping leaders, do. "We stand united with you. We hear and share your concerns, and we stand with you every step of the way to strive to transform WADA so that it respects your rights and makes decisions in the interests of clean sport." In response, WADA issued a statement saying they were not invited to the meeting. The organisation said it seems the only ones invited to the meeting were those who are not in agreement with the "democratic decision" to readmit Russia. They said if they had been invited they "would have been able to bring perspective to the debate, to explain why the decision to reinstate RUSADA, under strict conditions, was the right one for clean sport, and to outline the governance review process, which was initiated by WADA in January 2017."